Don\’t Waste that Wastewater | The Johnson Foundation at Wingspread. 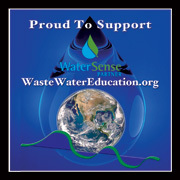 via Don’t Waste that Wastewater | The Johnson Foundation at Wingspread. “One important study found that nearly 50 percent of existing coal-fired power plants have sufficient reclaimed water available within a 10-mile radius, and 75 percent have sufficient reclaimed water available within a 25-mile radius. DOE also concludes that we can significantly reduce the water dependency of power plants by switching to dry and wet-dry hybrid cooling technologies and by using alternative water sources instead of freshwater. This is powerful evidence of the enormous potential for energy companies and water utilities to work together to reduce the environmental impacts from – and the water-related vulnerabilities to – power plants. via New Urban Algae System Generates Energy While Cleaning Wastewater in Paris | Inhabitat – Sustainable Design Innovation, Eco Architecture, Green Building. the wastewater for use as graywater. Ecologix Environmental Systems | Blog » Blog Archive » Fortune Features Ecologix for Role in Solving Fracking’s Biggest Problem.